However, the long-running model first had to prove how adaptable it was. The stricter safety regulations in the USA demanded that all new cars withstand a collision at eight km/h without damage when driving forwards and reversing. Zuffenhausen therefore introduced the impact bumpers with rubber lip that are characteristic of the G model in front of the luggage compartment lid. These bumpers could be compressed by up to 50 millimetres without any damage to important vehicle parts. The collision energy was absorbed by flexible impact absorbers on the US version, and Porsche offered these as an option for all other markets. The 3.0-litre flat engine at the rear of the 911 Turbo reached much higher power levels as from 1974. The turbocharger technology adopted from motor sports initially powered this super sports car with 260 PS. From 1977 onwards, an additional intercooler and an increase in displacement to 3.3. litres provided an extra boost – the result was an impressive 300 PS. This translated into performance values that were practically unrivalled in the middle of the 1970s: 5.2 seconds for the sprint from zero to 100 km/h was just as unbelievable as a top speed of more than 260 km/h. Another legend was born with the Turbo. Nevertheless, dark clouds were gathering on the horizon: new sports cars from Porsche with transaxle technology (engine at front, transmission at the rear axle) such as the 924 and 944 model series with four cylinders and the 928 series with eight cylinders were intended to step into the footsteps of the 911. However, the transaxle heirs to the 911 throne did not establish themselves and the demand for the evergreen remained as high as ever. Porsche then took the right decision: a change in strategy. The future of the 911 was therefore secured for the time being. As from 1982, a Cabriolet version was also offered for the first time alongside the Coupé and Targa. This was even followed by a 911 Carrera Speedster in 1989, marking the end of the second 911 generation – 2,103 of these were delivered with the turbo-width body and only 171 in the slim export version. 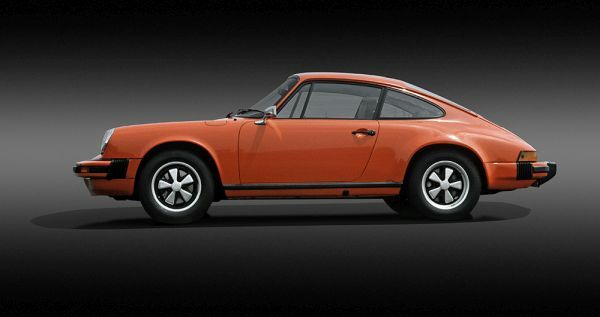 The G model was built in the period between 1973 and 1989, and Porsche produced 198,496 of these vehicles during these 16 years.